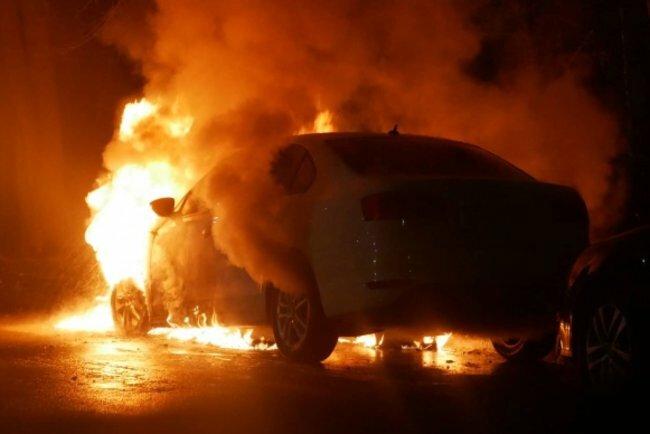 Not far from the Russian embassy in Kiev, where the night before held a demonstration against the attack of the Russian army on the ships of the Navy of Ukraine near the Strait of Kerch, Burned a car with diplomatic numbers. Report about "Ukrainian truth". The car broke out in the orbit of Yaroslav Homov 14-a, about one kilometer from the Russian diplomatic mission. The injured Volkswagen had a registration number starting with DP 001. This code is assigned to diplomats of the Russian Federation. The fire was extinguished by the rescue workers who came on the spot, the police discovered the causes of the fire. Apparently, a foreign car can not be repaired. Recall, November 20, on the street Kirillovskaya near the Kurenevsky market, a mobile coffee shop burned down completely. Citroën caught fire through a loose fuel hose. Also October 15th at Pechersk in the center of Kiev burned the elite Porsche Panamera. Fire also damaged parked near Honda and Toyota Camry.